- and show off the 240 varieties of peppers growing in the Walled Kitchen Garden glasshouses. 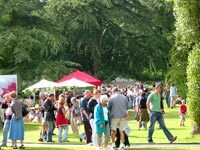 In the (equally rather commercial) style of the annual Thai Food Festival in Battersea Park, there are over 60 stallholders, most of them selling chilli plants and chilli inspired foods and crafts. 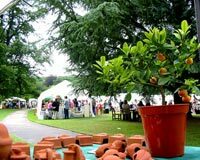 There are helpful chilli growing and chilli cooking demonstrations throughout the day - plus of course it’s a chance to visit the 35 acres of beautifully landscaped gardens surrounding West Dean College. 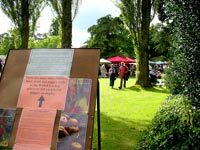 West Dean Gardens also host an annual Totally Tomato Show in early September, with tomato growing tips and tastings, cookery demonstrations, tomato delicacies for sale and over 100 tomato varieties on show.